Manuel Lanzini's (£6.4m) winning goal against Crystal Palace earned the West Ham United midfielder a score of 46 in the Fantasy Premier League Bonus Points System (BPS), providing him with the maximum three additional points. The playmaker was also a key creative component for the Hammers, providing three chances and completing 90% of his 30 passes. West Ham's second clean sheet of the season helped Winston Reid (£5.0m) to a pair of bonus points, with the centre-half producing an impressive 19 clearances, blocks and interceptions (CBI) – the third-highest tally in Gameweek 8 to this point. Goalkeeper Adrian secured a single bonus point, with a shutout and three saves helping him to 29 in the BPS. West Ham were driven forward by Lanzini and Dimitri Payet (£9.4m), and the pair topped the ICT Index as a result. Payet recorded 8.2 in the Index thanks to a score of 50 for Creativity, with Lanzini earning 13.2 and the highest Threat score on show (42). The match winner mustered two efforts on goal, both on target, and registered 12 successful passes in the final third. Like Lanzini, Payet also provided three chances, supplying seven crosses. Since his first start of the season in Gameweek 4, no Premier League midfielder has created more chances than Payet's total of 22. After his second goal of a campaign, Lanzini will now look to cement a starting role to offer FPL managers an additional option in the Hammers’ midfield. While Lanzini shows promise, Michail Antonio (£7.2m) suffered a third successive blank and found himself shifting to a wing-back role as Slaven Bilic reverted to a 3-4-3 system. Antonio’s ownership is down by almost 100,000 from a Gameweek 6 high of 740,344 and he has suffered more sales than any other player since the passing of Saturday’s deadline. Bilic’s formation shift included Aaron Cresswell (£5.3m) returning from injury at left wing-back, but he now faces a one-match suspension, missing the Gameweek 9 home encounter with Sunderland, after seeing red for two bookable offences. 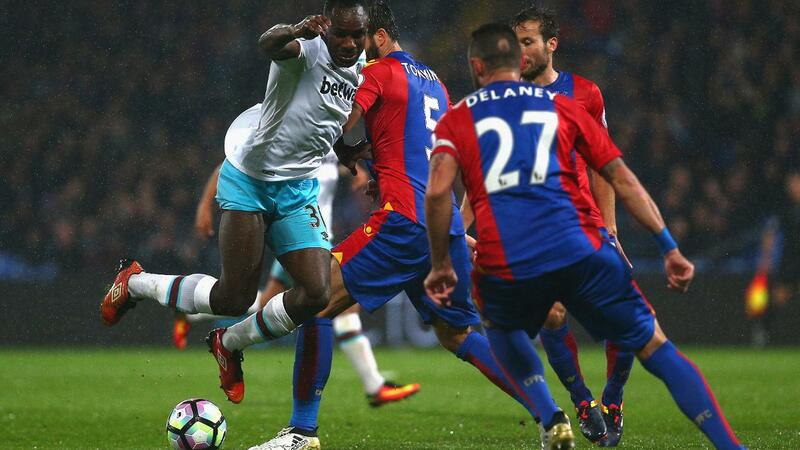 Palace striker Christian Benteke (£7.7m) suffered an indifferent afternoon as he recorded negative returns. Transferred in by more than 101,000 FPL managers heading into the Gameweek off the back of three goals in the previous four, Benteke missed a penalty and spurned several opportunities. Such profligacy will be a concern for his owners given that the Eagles are facing a trip to Leicester City and entertain Liverpool and Manchester City at Selhurst Park over their next four Gameweeks.